Perthshire 17 – Murrayfield Wanderers 20. This match had everything to entertain and excite even the most neutral of supporters at the North Inch. Due to a timekeeping error by the referee he failed to arrive in time for the kick off and after much debate Perthshire’s Rory Mckay was called upon to officiate while frantic calls were made trying to locate the official referee. Rory did a tremendous job for 25 minutes before the cavalry arrived and normal service could be resumed. Perthshire took an early lead when Scott Alcorn hoofed a huge clearance kick well into Wanderers territory. Shire then stole the lineout throw and Peter Saunders crashed through the midfield for the opening try. Armitt missed the conversion. Barely a couple of minutes later Murrayfield equalised. They won a scrum, ran down the wing and chipped ahead and Marshall won the race for the touchdown. This should have sent a warning to the Eagles that they couldn’t afford to lose concentration for one second or they would be severely punished. Armitt then had another chance to give Shire the lead with a 40-metre penalty but fell just short. Play was very even with both defences in tremendous form. Pete Saunders and Dan Rae sewed the midfield up tighter than the Perthshire treasurer’s wallet and for the first time this season Shire’s No 8 Duncan Clow was out performed by his fellow backrow players Ewan Mackassack-Leitch and Shaun Barton who harried and chased to great effect all afternoon. Shire’s discipline was letting them down though but thankfully Lee had misplaced his kicking boots and he failed to convert several penalty attempts. Ryan Miller was proving a real handful at standoff and one scintillating break left him with one man to beat on his way to the line. He cleverly drew his man to the right and whipped a pass left for Jay Pettie who contrived to drop it on the line. Wanderers hit back and Birch flew down the wing for a try which gave them a 5 – 10 lead at half time. Perthshire were every bit equal to their opponents and started the 2nd half in tremendous form. Armitt caught a loose kick, moved blind and chipped the ball ahead to see it bounce back into his hands and when he pressed the accelerator nobody was going to stop him for a fine try which he converted. Another long-range penalty attempt fell just short, but Shire should have grabbed another try when the ball squirted out of the scrum on Wanderers side and Mackassack-Leitch was first to react but was stopped on the line. The ball was recycled and Clow, MacDonald, Mair and Ramsay all battered away to try and get over the line but Wanderers held firm. Shire won a scrum and Duncan Clow picked up from the back of the scrum and drove over to extend Shire’s lead. Perthshire were trying everything to grab the 4th try and bonus point. The forwards were driving hard and Jack Macintosh was firing out good quick ball for Miller to set his backs up allowing Saunders and Rae to try and make huge dents in the Wanderers defence. Alcorn and Armitt made good use of any possession they got and could be relied upon to gain plenty ground. Shire were encountering problems in the scrum though with Wanderers turning the screws on them and after a period of sustained pressure won a 5-metre scrum and pushed Shire right over their line for their 3rd try and levelled the score. Murrayfield now had their tails up and were bombarding Shire with all they had in the final few minutes. Shire lost their own lineout allowing Wanderers to take play into the home 22. They won a penalty kicked to touch, drove on and Shire conceded another penalty with the last move of the game but this time it was right in front of the posts allowing an easy 3 pointer and huge disappointment for the home players and fans as they lost the match under the cruellest of circumstances. Shire have several players who are in only their 1st or 2nd season at this level and as they gain more experience will learn how to close out tight games such as this and not give away penalties. The league situation could not be tighter with just 7 points separating 6 teams, but Shire are 3rd bottom. There is still much speculation about the Super6 and the knock-on effect this will have on the leagues with special regard as to where the amateur club teams of the S6 clubs will play but at the moment, the bottom three clubs in Nat 3 will be relegated to the Regional Leagues. 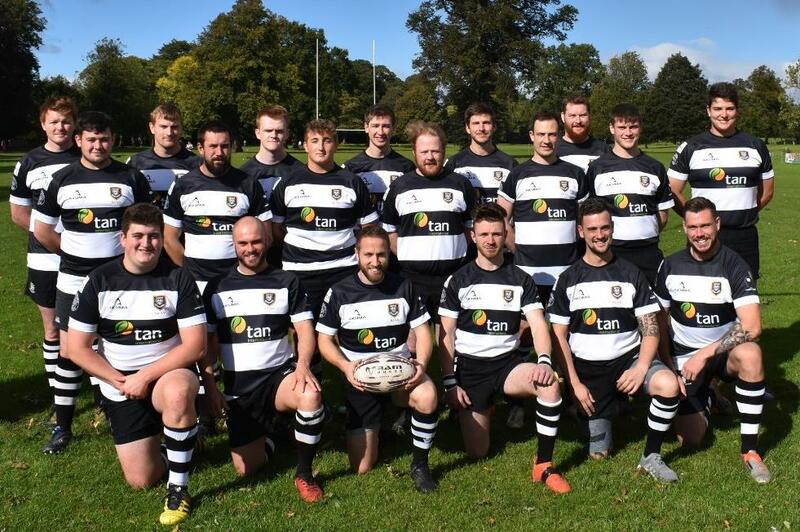 Perthshire fielded a much changed team on Saturday but everyone played their part well and there will be plenty more points to be picked up starting with Saturday’s trip to St Boswells. Players meet at 10.45 for an 11am departure and all spectators will be more than welcome.